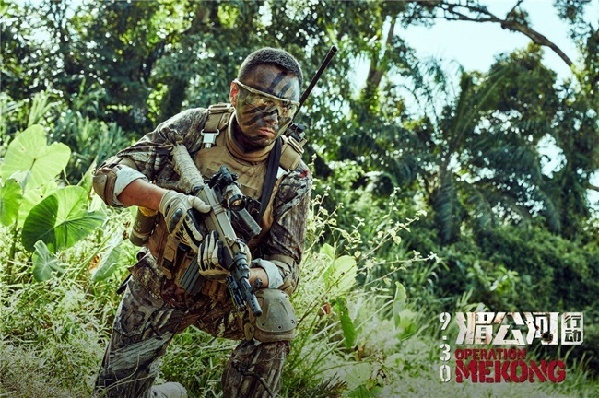 Blockbuster movie "Operation Mekong" is a harrowing tale of crime, heroism, and murder. Earlier this week, fans of the critically acclaimed film got an opportunity to attend a special forum to discuss the movie's success. The blockbuster movie, Operation Mekong, is a harrowing tale of crime, heroism, and murder. "Operation Mekong" is based on the story of 13 Chinese sailors, who were brutally killed by a Myanmar drug ring back in 2011. The film topped the charts in October and brought in 1.14 billion yuan. The story takes place in South East Asia's "Golden Triangle," a stretch of the Mekong River that forms a triple frontier between Myanmar, Laos, and Thailand. The area is notorious for piracy, banditry, and a cutthroat drug trade. In 2011, the Thai government claimed to have seized 900,000 meth pills from a small Chinese fishing boat. Thirteen Chinese fishermen died in the alleged raid. But dogged narcotics officer Captain Gao Gangf soon finds evidence that dispute that version of events. His inquiries lead him to believe that a ruthless drug kingpin murdered the fishermen. Gao Gang and his elite task force embark on several increasingly risky missions to bring the drug kingpin down and get justice for the dead men. "Operation Mekong" has proved to be a fan favorite. It received a score of 8.2 points out of 10 on China's top fan-rating site, Douban. Movie insiders say the film's success lies in its patriotic message and the fast tempo of its plot.